"Red or Green?" is the official New Mexico State Question. 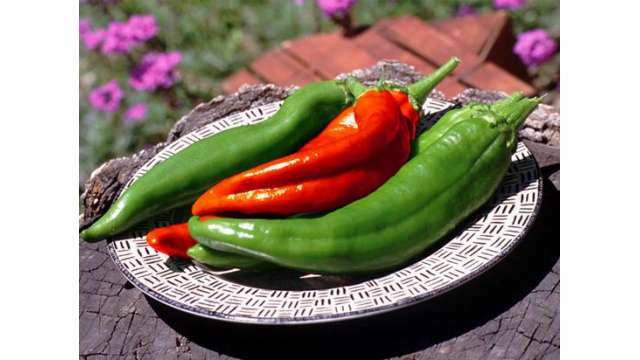 The green chiles are eaten freshly roasted, while red chiles are dried and ground before being made into a paste.